Get Rid of Varicose Vein Symptoms by visiting Dr. Jose Almeida. If you are one of the lucky ones, you may only have a cosmetic concern, but for other people, varicose veins bring on more-serious problems. Varicose veins Symptoms are brought on by your lifestyle choices as well as by your genetics. You may feel some or all of the above symptoms. The cause of the symptoms is directly related to the accumulation of blood in your legs. As the damage to your leg veins increases, there is an increase in the amount of blood pooling in your legs, that causes the symptoms to worsen. As the pressure in the veins increases with extra blood, your symptoms worsen as the day progresses, getting worse by days end. The skin over the bulging veins can be itchy and feel sore as well as the actual veins. 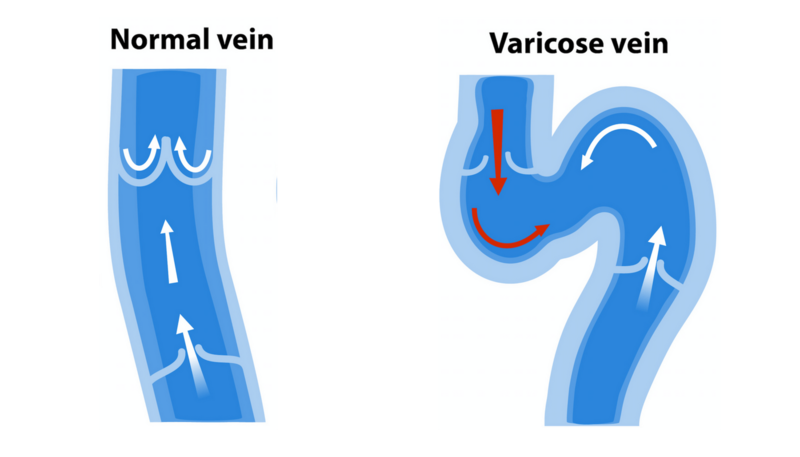 If you would like to treat your symptoms on your own, please watch our video on conservative treatment options for varicose veins. Try using conservative therapy for three months prior to your visit to your board certified vascular specialist. The specialist will be required by your insurance provider to recommend traditional therapy for three months prior to any medical treatment the doctor may be able to perform. Therefore, we strongly recommend watching the video and adopting conservative measures like compression stockings before seeking medical treatment, so when you do go and visit the doctor, they can perform a simple procedure to remove your incompetent veins. Once the varicose veins are treated, you will find your symptoms will disappear. These signs occur due to a varying degree of chronic venous insufficiency disease.